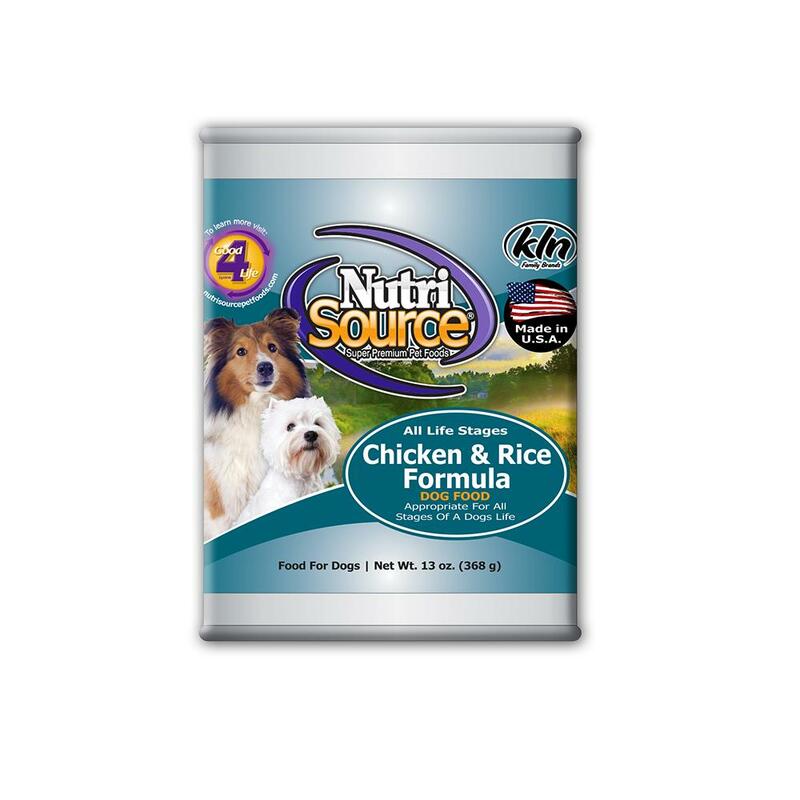 Nutrisource Chicken and Rice formula for dogs is an excellent wet food that focuses on providing your canine with premium, all natural ingredients that provide optimal nutrition. As your puppy grows, it can be difficult to provide your dog with a full nutrient profile, and for those nutritional benefits to come in the form of a delicious, mouth-watering, all natural dried food. Nutrisource has found the secret! This is an excellent food intended for growing puppies and adult dogs, and is an all life stages food. Ingredients: Chicken, Chicken Broth, Chicken Liver, Ocean Fish, Brown Rice, Pearled Barley, Whole Dried Egg, Dicalcium Phosphate, Guar Gum, Salt, Potassium Chloride, Dried Kelp, Alfalfa Meal, Calcium Sulfate, Lecithin, Carrageenan, Cranberries, Yucca Schidigera Extract, Ascorbic Acid (source of Vitamin C), Choline Chloride, Betaine, Taurine, Iron Proteinate, Zinc Proteinate, Vitamin E Supplement, Copper Proteinate, Selenium Yeast, Manganese Proteinate, Niacin, Calcium Pantothenate, Vitamin A Supplement, Ethylenediamine Dihydriodide, Thiamine Mononitrate, Riboflavin Supplement, Vitamin B12 Supplement, Pyridoxine Hydrochloride, Vitamin D3 Supplement, Folic Acid.